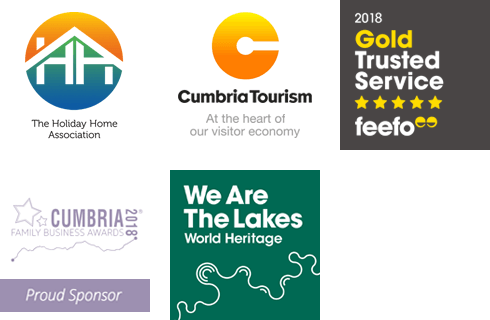 Anyone staying in our Lake District cottages could well be forgiven for spending their entire week walking the fells and valleys without a thought to other attractions in Cumbria. A Christmas staple this week, there are few things signalling the impending holiday season more than Mince Pies stacked high on supermarket shelves. But why buy when you can bake!, fresh Mince Pies are so much better than anything shop bought. Continuing the ‘Christmas baking ideas’ thread on our blog, this weeks offering is a classic Yule Log. This years Hawkshead Christmas Fair 2013 will take place on the Saturday 30th Nov 10.00hrs – 18.00hrs &amp; Sunday 1st Dec. I love Peanut Butter! In fact Peanut Butter &amp; Chocolate are probably my favourite sweet combination. Here’s an adapted recipe from The Hummingbird Bakery ‘Home sweet home’ book which has proved very popular in our house. New to us for 2014, Croft Cottage is an 18th Century traditional Lake District cottage with an abundance of character and traditional features, set in the small hamlet of Clappersgate, 1 mile outside Ambleside. Oak Cottage was built in the 1850′s along with Daw Bank and Meadow View on the same small road leading up to Holy Trinity Church. Here in the Lake District there’s always something new to try. Ambleside Cave – The Lake Districts first indoor caving system, is a new venture by Adventure Peaks (who already run the very successful Ambleside climbing wall). It’s that time of year again, temperatures are falling, nights are drawing in and The Great British Bake off is on the telly. Sundays Langdale Gala (7.7.13) was a huge success with a good time had by all. We’d like to thank everyone involved both on the committee and those who gave up their spare time to make it such a great event. The 2013 Langdale Gala will be held on Sunday 7th July at Walthwaite Meadow in Chapel Stile.